“We understand that to guarantee transparency in this process and ensure that the Honduran people’s vote is respected, the Supreme Electoral Tribunal must have full flexibility in accepting the requests of the parties,” said European Union EOM chief Marisa Matías MEP. , in a press conference. The Opposition Alliance, whose presidential candidate is Salvador Nasralla, asks the electoral body to review 5,179 inconsistent acts because they believe they have “cheated” him in the Supreme Electoral Tribunal elections held on November 26. 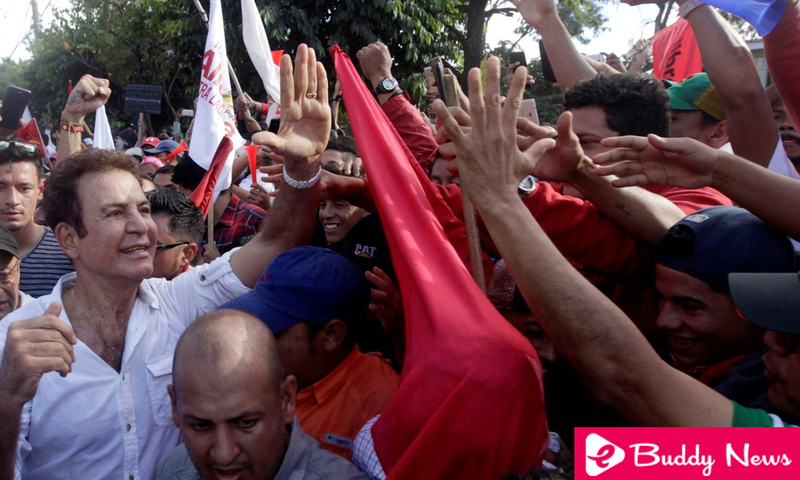 Matías said that the requests for the “recount and verification of more than 5,000 acts” requested by the Opposition Alliance “are reasonable”, so he asked the TSE to have “flexibility”. The electoral body must “generate the conditions so that all the actors involved can have conditions and guarantees of transparency,” he stressed. After concluding a special scrutiny of 1,006 inconsistent acts, TSE’s presiding magistrate, David Matamoros, said on Monday that the body continues to dialogue with leaders of the Opposition Alliance to seek an answer to their demand. “They have proposed the review of records, have not raised suitcases, is a review of the physical record against the copy they have, we are not closing any door, just the scrutiny of what we have up to now,” the official stressed. “Electoral process is not over”. With 99.89% of the electoral acts processed in the presidential formula, the Honduran president, and candidate for re-election, Juan Orlando Hernández, won 42.98% of the votes, against 41.39% of Nasralla, that in advance he said he did not accept the result. The head of the European Union EOM emphasized that the Honduran electoral process “is far from over,” because candidates for popularly elected positions have until Wednesday, according to the TSE, to present challenges. In addition, he asked the TSE to respect the period for filing challenges, a period that could be extended due to the delay in the special recount, which has been postponed since Thursday due to the lack of agreements with the Opposition Alliance to participate in the process.